Guest ensemble: Schola Cantorum of Oxford. 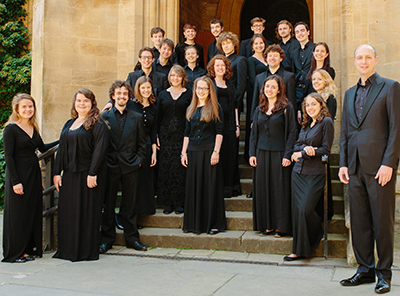 The Cornell choirs present the celebrated Schola Cantorum from Oxford University, conducted by James Burton, on its first American tour in twenty-five years. Features English Renaissance motets by Weelkes, Sheppard, and Tallis, as well as the premiere of Roderick Williams’ O Radix Jesse and the American premiere of Burton’s Te lucis ante terminum, written to commemorate the 100th anniversary of the outbreak of WWI. Admission: $10 adult; $5 student, at www.gleeclub.com/concert-schedule.html and at the door.